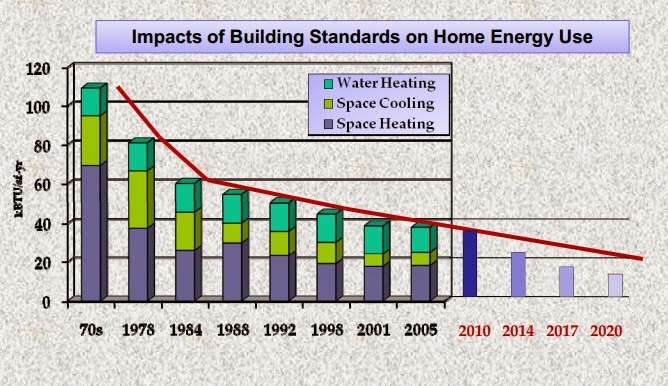 Residential High Performance Attics / Ducts in Conditioned Spaces (HPA/DCS) - This proposed measure is a modification to the prescriptive residential building requirements to allow two methods of saving energy. Heating and cooling air distribution losses in a central forced air system significantly reduce efficiency. Duct sealing has been addressed but the negative impact of ducts located above the insulation in attics remains to be addressed. One part of the proposal introduces a prescriptive requirement for the location of duct work and equipment in residential and low-rise multifamily buildings. The other part includes an alternative prescriptive requirement that focuses on the performance of duct and attic characteristics. The measure consists of two alternatives for accomplishing improved envelope characteristics and reduced HVAC distribution losses. These two approaches will have similar energy impacts on the building. High Performance Attics (HPA) implements a package of measures that minimizes the temperature difference between the attic space and the conditioned air being transported through ductwork in the attic. It also reduces heat transfer through the roof into the attic. The option will include additional components needed to achieve the required reduction in distribution losses including very low leakage (<4%) ducts and air handler system and highly insulated ducts. Ducts in Conditioned Space (DCS) locates ducts inside the building’s thermal and air barrier envelope. The DCS criteria can be met by: ductless systems such as Multi Mini Split heat pumps or radiant hydronic heating and cooling; ducts and equipment in a sealed attic; ducts in dropped ceilings and equipment in an interior mechanical closet; and other alternative approaches discussed below. The Residential High Performance Walls measure is intended to increase the performance of the residential envelope, reducing the amount of heat transfer through walls and thus reduce HVAC loads. The CASE Team is investigating two changes to the Standards: mandatory Quality Insulation Installation (QII) for fiberglass batt insulation; and improved prescriptive wall insulation requirements. The IOU C&S team intends to add mandatory requirements for QII when fiberglass batt insulation is installed, which will require verification by a HERS rater or Building Performance Institute (BPI) Building Analyst to ensure proper insulation installation within the entire thermal envelope. Currently, a compliance credit is awarded for installations that verify QII. This proposal would require QII for batt insulation, while still allowing a compliance credit for QII with other types of insulation. 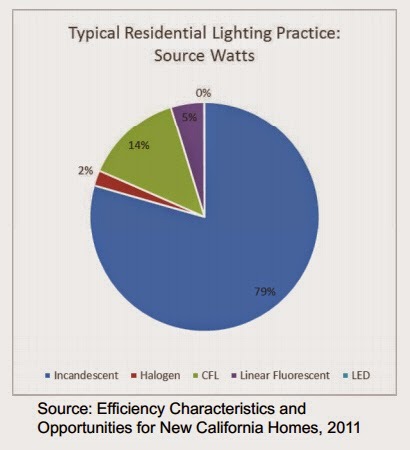 Field surveys have found that the most commonly used wall insulation in California are fiberglass batts. Requiring QII for batt insulation would ensure that the majority of insulation installations are properly implemented, increasing the effective U-factor of these wall assemblies. This measure would modify the mandatory requirements, remove the current compliance credit for QII with batt insulation, and revise the corresponding standard energy budget in the prototype model. The measure would also update Joint and Residential Appendices language, and compliance forms, as related to QII requirements. This measure modifies existing code language, but does not modify the scope of the Standards. These wall designs allow for greater R-values for cavity insulation, quality installation that fills all gaps and does not compress insulation, and, in some cases, reduced thermal bridging. Currently, these types of framing techniques are compliance options in the performance approach for the 2013 Title 24 Standards. The use of batt, blown-in, spray foam, flash-and-batt, and continuous (rigid) insulation with these wall types were assessed. This measure affects the prescriptive requirements and related modeling algorithms for standard walls. This measure modifies existing code language, but does not modify the scope of the Standards. Tankless Water Heaters - The Instantaneous Water Heaters measure proposes to modify the prescriptive requirements for gas domestic hot water systems in newly constructed single-family buildings and multi-family buildings with dedicated water heaters for each dwelling unit. The current prescriptive approach allows the use of either gas storage water heaters or tankless gas water heaters. The proposed measure would modify the language by specifying that the Energy Factor (EF) of the water heater would have to be at least as high as the federal minimum EF for tankless gas water heaters (EF = 0.82). Buildings using the performance approach to comply with the standards could deploy a number of strategies to achieve the energy budget for water heating, including installing a high-efficiency condensing gas storage water heater. Since tankless gas water heaters have higher EF ratings than storage-type water heaters and water heating accounts for the largest share of energy usage in a home, the proposed prescriptive requirement is anticipated to garner significant energy savings for California. This measure builds upon the high-efficiency water heater (HEWH) ready measure that was adopted into the 2013 Title 24 standards (effective date July 1, 2014). The HEWH standards requires domestic water heating systems in new residential construction (single-family and multi-family buildings with dedicated water heaters in individual dwelling units) to be designed to accommodate condensing gas storage and tankless gas water heaters. By the time the 2016 Title 24 standards take effect in 2017, builders will be accustomed to designing for higher-efficiency water heaters. 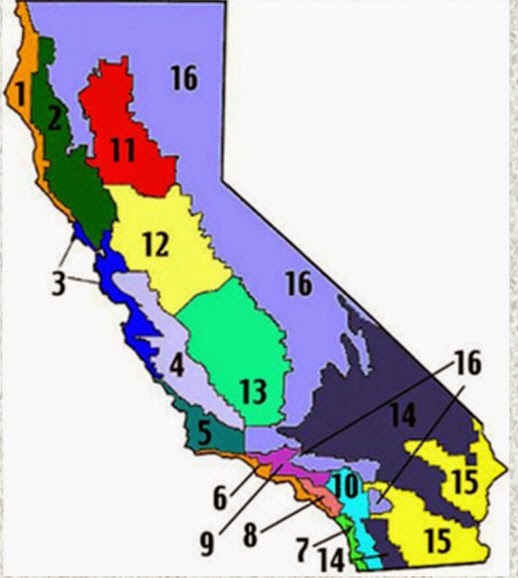 High–efficiency water heaters have also been proven to be cost-effective in all climate zones across California. The IOU Codes and Standards Team is seeking feedback on the feasibility of revising the prescriptive requirements for domestic hot water heating systems in single-family buildings and multi-family buildings with dedicated water heating units for each dwelling unit. 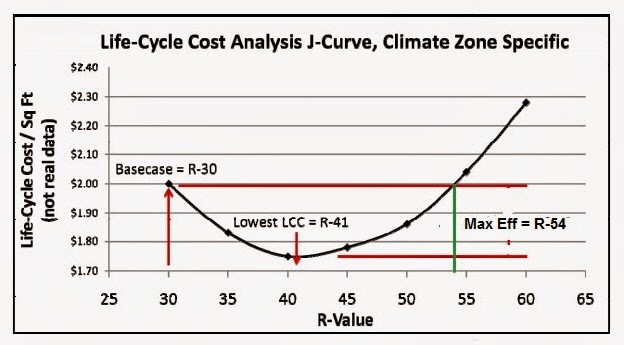 In particular, feedback is desired on current construction practice, on relative costs of insulation techniques, and on design issues of advanced construction assemblies, if any, not directly related to cost. Residential HVAC Field Verification and Diagnosis - The Residential HVAC Field Verification and Diagnostics measure is intended to reduce inefficiencies in residential HVAC (heating, ventilation, and air conditioning) equipment by improving fault testing procedures and air flow efficiency requirements. Laboratory work has shown the impact of refrigerant charge levels on energy efficiency can be significant. Most residential air conditioners and heat pumps are split systems with an inside coil and an outside compressor bearing unity which are connected with refrigeration tubing. Systems are installed on-site, far from the production line and manufacturing quality control. Though manufacturer’s installation manuals instruct the technician how to safely and correctly assemble and then charge the system, many of the new air conditioners in California fail to achieve their rated efficiency due to improper amounts of refrigerant, improper evacuation, metering device malfunctions, and other problems. The impact of this degraded performance on the life cycle cost may be large statewide. The 2005, 2008 and 2013 Title 24 code cycles have required that refrigerant charge is done according to a superheat or subcooling protocol, which is verified by a HERS rater. According to a 2012 study, technicians in the field may not understand how to test, diagnose, and repair faults properly. Modify charge indicator displays (CIDs) requirement to allow a broader range of devices installed with the system that can specifically detect performance degradation. Develop an exception to Section 150.1(c)7A and Section 150.2(b)1F to exempt single and multiple headed mini-split heat pumps that OEMs sell as a system (including refrigerant piping, charge, and terminal units) from refrigerant charge verification. Modify the Joint Appendix RA3.2.2 to allow manufacturer’s installation instructions to be used instead of the generic charge tables for superheat and subcooling. Modify the Joint Appendix RA3.2.2 to require that a liquid line filter/dryer be installed on all split systems. Manufacturers ship liquid line dryers with units but they are not typically installed. Develop alternatives to verification of weigh-in charging that do not require HERS verification. If an AC system is installed in cold weather, explore whether the new registry developed for 2013 allows charge to be checked later when the weather is warm enough. Manufacturer’s installation manuals are clear that installation is not complete until charge is checked when the weather is warm enough. Explore the possibility of using the surface temperature only method of charge verification developed by PNNL. Propose reducing the 0.58 watts/cfm for new residential construction based on the USDOE Furnace Fan proceedings. Also consider requiring 400 cfm/ton airflow or more. Explore adding a Section 150.2(b)1Fi(b) to exempt replacement (altered) space conditioning systems with a TXV from the 300 cfm/ton minimum airflow requirement. For altered systems, explore the ramification of exempting them from refrigerant charge verification if a set of prescriptive requirements, such having a TXV, are met. Develop the scope of work needed to develop the lab and field data needed for the projected 2019 Title 24 modifications. Energy Solutions - Oakland, CA - Experience includes evaluating emerging technologies, benchmarking building energy use, conducting energy audits, acting as owner’s representative, designing and implementing energy efficiency programs, developing and defending state and federal appliance and building standards, and developing marketing strategies to maximize program impacts. TRC Solutions - Lowell, MA - A national engineering, consulting, and construction management firm that provides integrated services to the energy, environmental and infrastructure markets.